Nocino is an Italian liqueur that is made from green, immature walnuts and sweetened with a sugar syrup, and is a traditional autumn after dinner drink. It is relatively easy to make, you just need immature walnuts and patience to wait while they steep for 3-4 months in alcohol with some spices, then add some sugar syrup to mellow the flavor. We decided to make a more wild version, using the black walnuts that grow abundantly in Connecticut and some local flavorings. 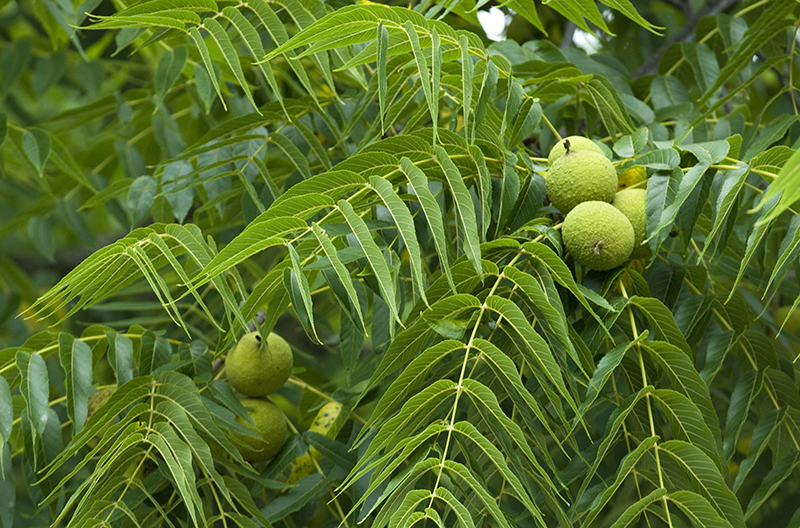 In the late spring, we start watching the black walnut (Juglans nigra) tree next door. When the walnuts start forming and are about the size of a quarter, we pull the Jeep up to the trunk of the tree, climb on top with a long pole, and start knocking the immature nuts down. At this size, the hard shell has not formed yet, and you can slice through the green hull, through the shell, and cut the whole nut into quarters. Robert then places the cut nuts in a gallon glass jar, tucks in a few wild ingredients like spicebush berries (from the freezer, they ripen in the fall and taste like allspice), twigs and leaves from the same spicebush that have a citrusy flavor, sweet cicely roots (dug in the spring, they taste like licorice), and a vanilla bean, then covers this concoction with grain alcohol (180 proof) or 100 proof vodka. After the 4 month wait, we strain out the solids and are left with a black, astringent alcohol filled with some tannin. It gets mellowed out with the addition of sugar syrup and maple syrup, and further aging. This is a sipping liqueur, and will warm up the chilly winter ahead. 1. 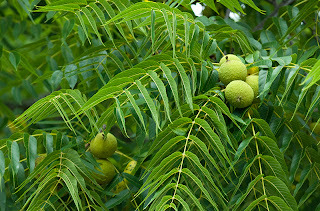 Gather the immature black walnuts near the third week in June, when you are able to cut through the hull and shell with a knife. Quarter the nuts and pack them into a gallon glass jar. 2. 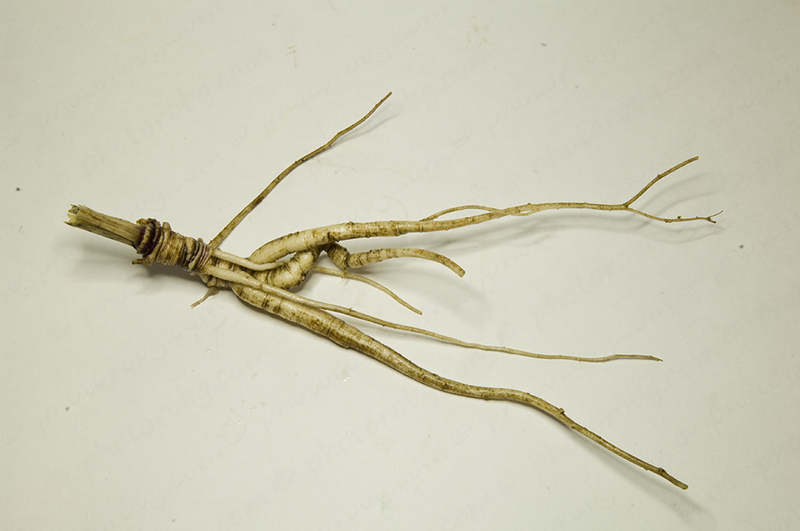 Shred the sweet cicely roots and add then to the jar, along with the peeled spicebush twigs, crushed spicebush berries and split vanilla bean. 3. Pour the alcohol over the nuts, covering them totally. Let the concoction macerate for 3-4 months, shaking weekly. 4. Strain out the solids, the alcohol will have turned black. 5. Make the sugar syrup by placing the sugar and water in a large pot. Bring up to a boil and turn the heat off. Allow the sugar syrup to cool, and mix it into the flavored alcohol with the maple syrup. 6. At this point, you may drink the wild nocino, but it will be pretty rough. 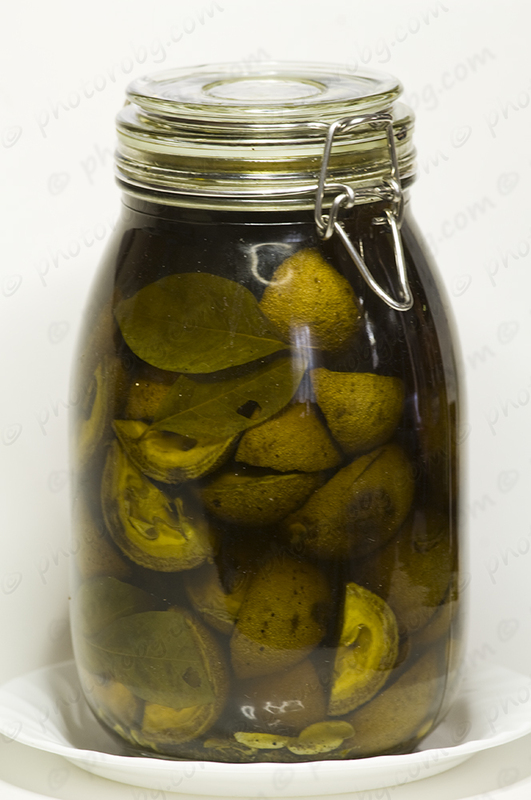 We suggest an additional mellowing period of 9 months in a clean gallon jar, then portioning the nocino out into smaller bottles for storage. We have one good black walnut tree. Thanks for sharing this recipe. Very interesting. This sounds amazing! 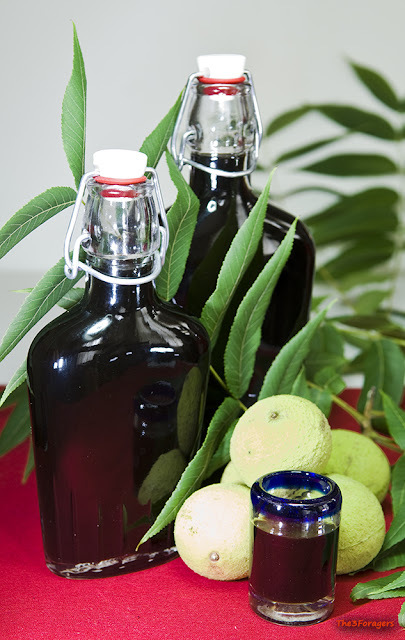 I'm making a plain walnut schnapps with the green nuts from my neighbors' tree, but I'm definitely intrigued by the idea of making it into a more complex liqueur. If you used the black walnuts in fall, the green husk is likely full of worms. You also cannot cut all the way through the nut, it has formed and is very hard. You could try anything, but we only use the small, immature nuts that are available in the late spring. You should try sweetening this with walnut syrup. It has a more mild flavour then maple syrup and you end up with a more pure product. Only real issue is tapping black walnut trees stains the wood. Your walnut product will be that much more pure. I am going through all of your recipe posts. It's awesome to find so many yummy-looking foraging recipes in one place. I am new to foraging this year. I have found a few things, but usually I am clueless about what to actually do with whatever I've found, so I just pick a few and come home and Google it to 1) verify that I have what I think I have and 2) try to figure out how to prepare it! I have been marking the locations of the things I find on a custom map in Google maps so I can find them again next year. P.S. Your "spicebush berries" link is missing the "t" at the beginning.